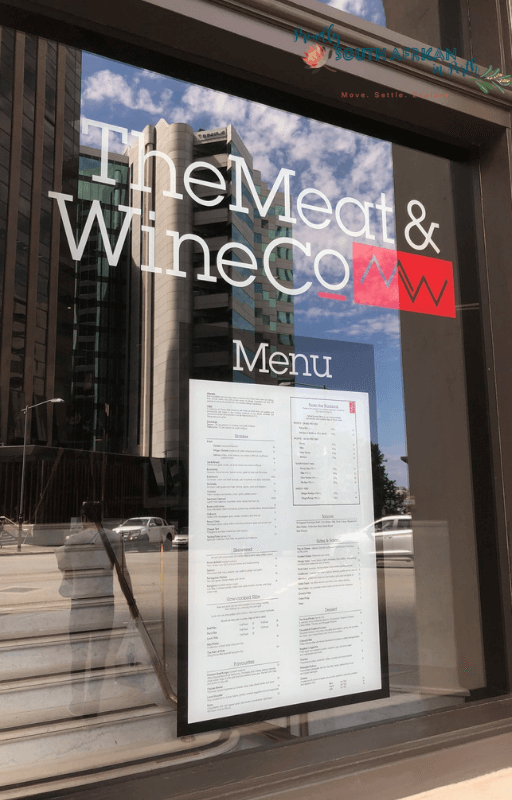 Owned by Seagrass Boutique Hospitality Group, The Meat & Wine Co was established in 2000, with the idea of providing diners with a sense of a ‘home away from home’. Founder Bradley Michael started from humble roots as an assistant chef in the South African Defence Force at the tender age of 18. Bradley moved to Australia in 2003, and now operates Seagrass Boutique Hospitality Group, which has several well-known chains under its umbrella, including Ribs & Burgers, Hunter & Barrel, and The Meat & Wine Co, recently opened in Perth, after successfully operating in Sydney and Melbourne. 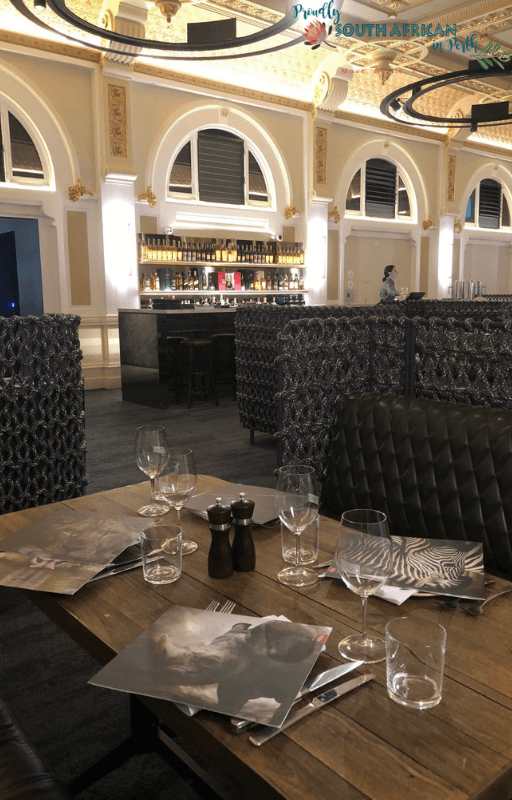 Situated in the heart of the city, you’ll find The Meat & Wine Co on St George’s Terrace inside the old Palace Hotel. The entrance is very unassuming from the outside but once you step inside it’s like a different world. The building may be over 100 years old, but the interior is as new and modern as you can imagine. There are 2 distinct dining areas, a more casual setting which greets you upon entry, and tucked around the corner is the more formal dining area, nicknamed The Ballroom. I love both, but we chose to sit in The Ballroom which was a little quieter during the lunch on the day we visited. The seating is incredible – from afar it looks like wicker or rattan but close up you realise it’s actually soft rope which has been painstakingly knotted around the seat frame. The Ballroom also has a dedicated whisky bar, filled to the brim with some of your favourites from around the globe. The wine list is massive, but for a restaurant with African heritage, there is very little choice when it comes to South African wines. There are a few WA options but many more from over east. Perhaps over time, they’ll update the Perth wine list with some more local WA ones. There is an a la carte menu but also a set lunch menu which offers excellent value for money at 2 courses for $42 or 3 courses for $49. It also includes a glass of wine, beer or soft drink. This set lunch runs Monday to Saturday from 12pm to 4pm which gives you plenty of time to check it out. The menus all have African animals on the cover, adding to the feel of the place. 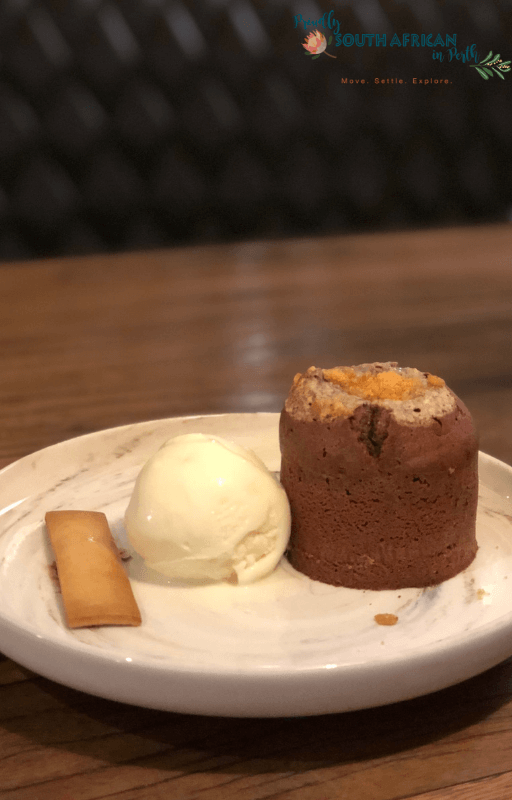 Small hints of The Meat & Wine Co’s African connection can also be seen in the menu itself – there’s a boerewors starter, peri-peri chicken main and the classic Dom Pedro on the liquid dessert menu. I opted for the beetroot and labne starter, while Mr C goes for the Szechuan calamari. My beetroot starter is light and fresh and the calamari is tender and full of flavour. 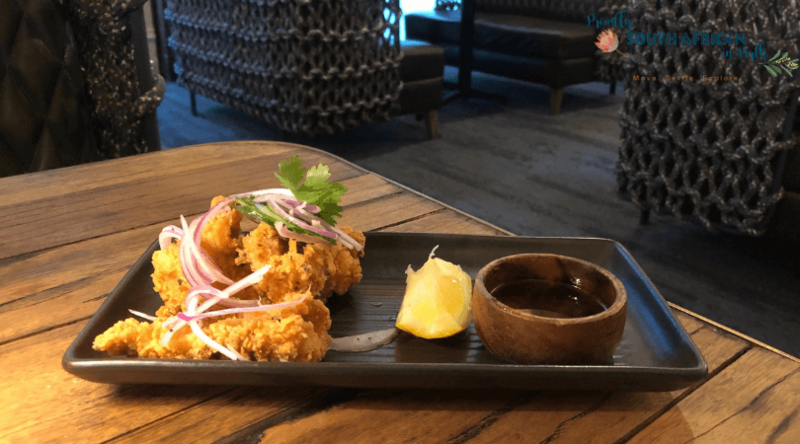 Mr C says it’s probably the best calamari he has had in Australia. 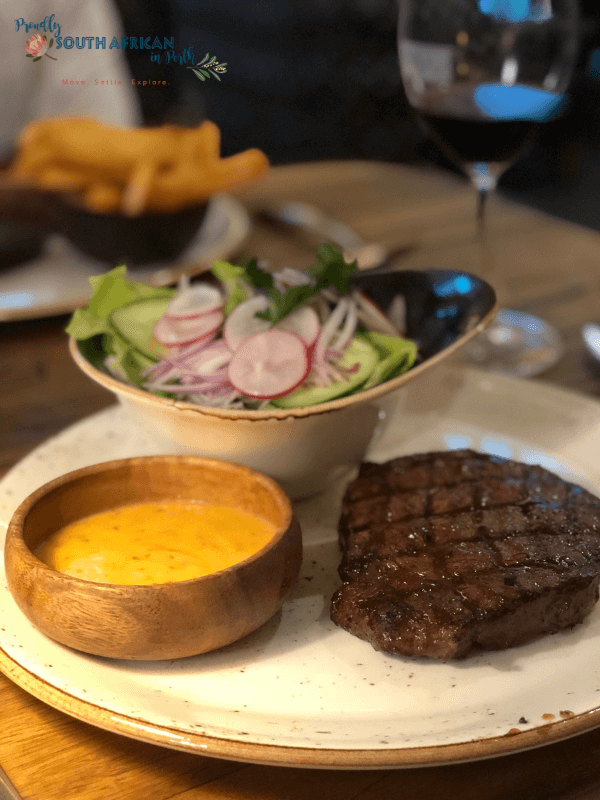 For our mains, we both choose the Monte Waygu rump, because after all, we can’t come to The Meat & Wine Co and not have a steak! Mine is medium rare, Mr C goes for medium and both are cooked to perfection. I added the Portuguese sauce to my steak but honestly, the steak is so good it doesn’t even need it. My salad is well-dressed and the chips that accompany Mr C’s steak are nice and crunchy, just as the menu suggested. And then, dessert. Decisions decisions! I knew as soon as I saw the menu I just had to have the Dom Pedro. 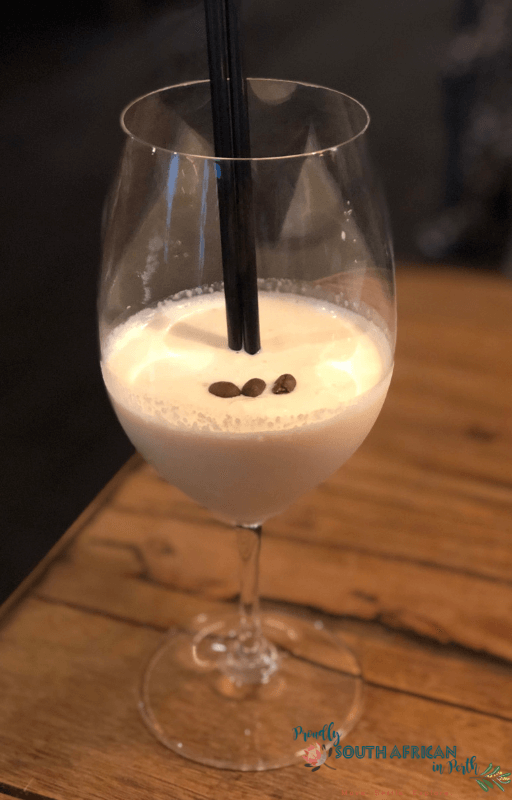 The only other place I’ve had a Dom Pedro in Perth is at Baby Mammoth in Northbridge! Mr C, on the other hand, is torn between the affogato and the chocolate and hazelnut fondant. As he doesn’t even have a hint of a sweet tooth, this is a first for him! Eventually, he opts for the fondant, after seeing one being delivered to the table next to ours. The fondant takes some extra time to prepare but my Dom Pedro comes out soon after ordering. Let’s just say it didn’t last very long! It was spot on in terms of flavour, but it would be nice to see paper or biodegradable straws instead of the two plastic ones it came with. Mr C’s dessert choice is worth the wait and he demolishes it in about 10 seconds flat (well not quite, but he couldn’t stop eating it!). The inside is gooey and warm, and the outside is crisp and dry, just like a fondant should be. 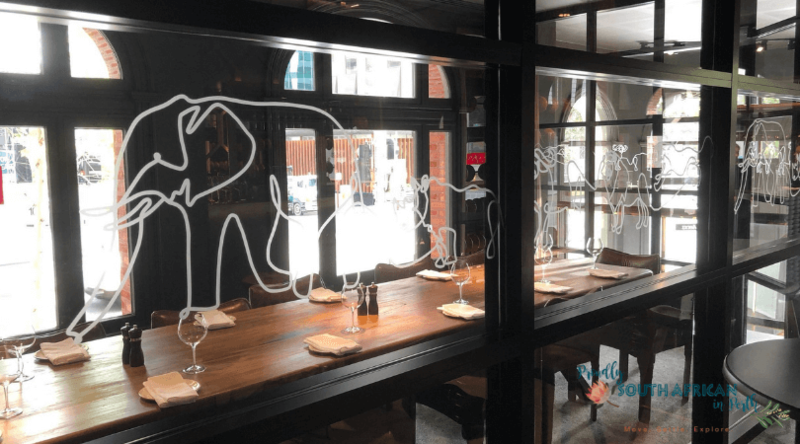 The Meat & Wine Co in Perth also has some bright and airy function rooms you can dine in, all named after the Big 5. 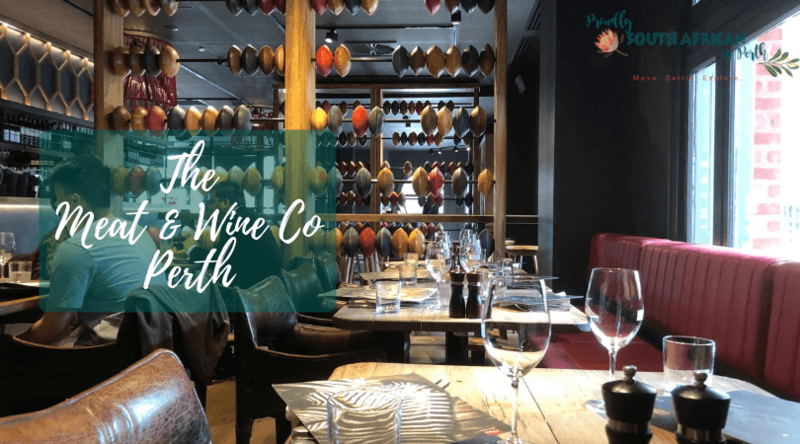 I’m sure you can tell we loved our lunch experience at The Meat & Wine Co in Perth. 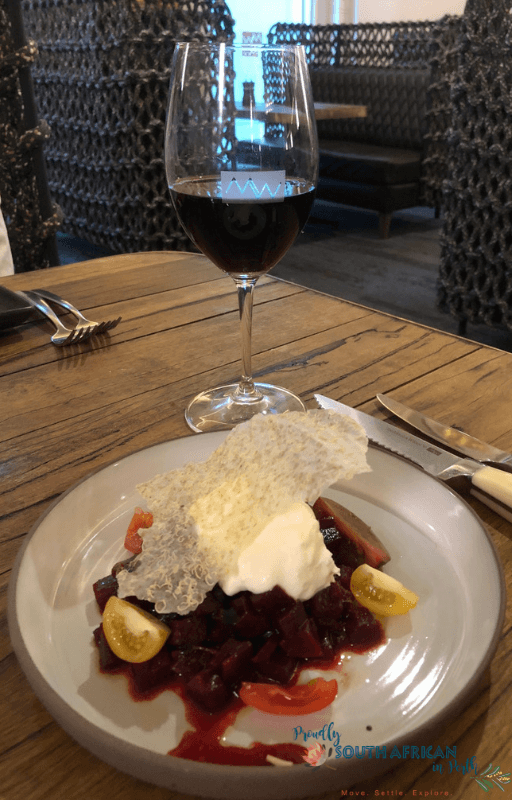 The food was excellent, the staff very welcoming and friendly, and the setting absolutely gorgeous. 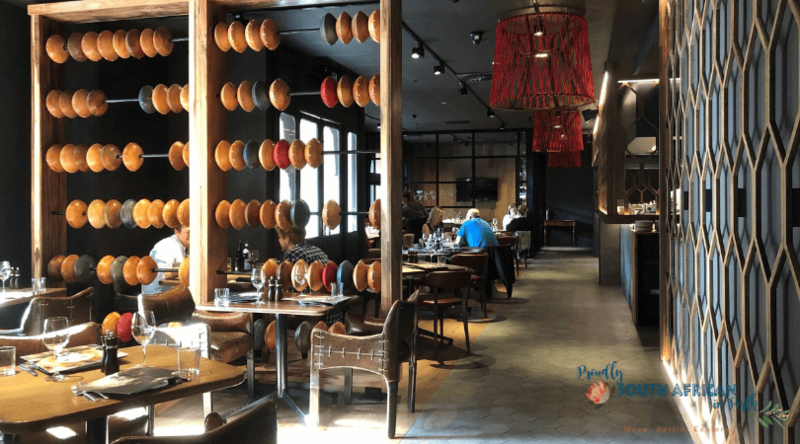 I think we may have just found our new go-to restaurant in the city! Thank you to The Meat & Wine Co for inviting me to dine as their guest. All thoughts and opinions are my own.